A large poster, printed on thick Gloss Art 170gsm paper. 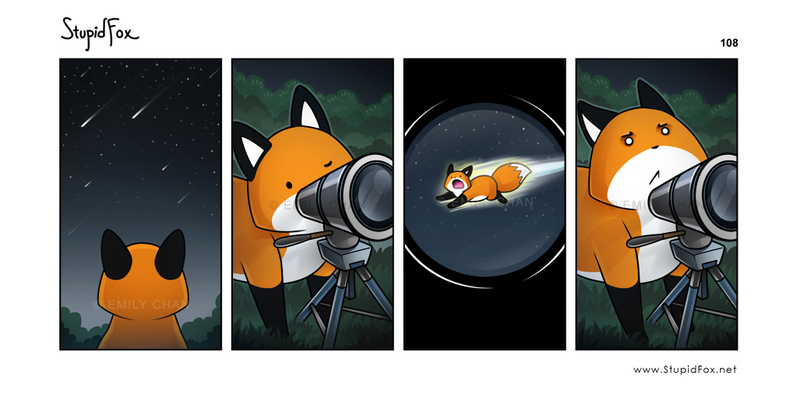 s-fox: oh look a shooting star! Is the idea that Stupidfox is looking at himself, or are they two different foxes?